The Worthington Inn has been a loyal supporter of live jazz in Columbus for quite some time, hosting live jazz performances every Friday and Saturday evenings. Jazz fans could regularly hear some of the finest trio based jazz from Derek DiCenzo, Mark Flugge, Rachel Sepulveda, Andrew Hartman, Erik Augis, Andy Woodson, and many many more over the years. It has come to our attention that Worthington Inn will be discontinuing their regular Friday and Saturday evening jazz performances for the foreseeable future. 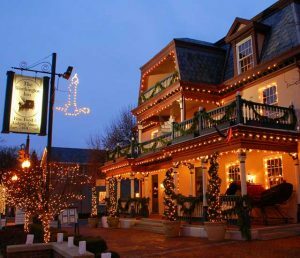 The management there may possibly do a performance on an off-night this summer, but at least for now, jazz will no longer be seen at the Worthington Inn. The last performance will be on Saturday, January 12th with the Rachel Sepulveda Trio. Show starts at 7 and goes until 10pm. Thank you to Worthington Inn for a great run and support of live jazz over the years. Hopefully they will bring it back soon, so make sure you let them know how much you enjoyed it!